(Vatican Radio) Pope Francis urged world leaders to “promote peaceful coexistence” in the face of “a devastating outbreak of violence against Christians” on Monday, when he received the Patriarch of the Ethiopian Orthodox Tewahedo Church, Pope Matthias I, in the Vatican. The Ethiopian Orthodox Tewahedo Church is the largest of the Oriental Orthodox Churches, which rejected the definitions of the Council of Chalcedon in AD 451. Pope Francis noted that “from the beginning” the Ethiopian Church has been a Church of martyrs. Vatican City, Feb 28, 2016 / 06:46 am (CNA/EWTN News).- God’s patience towards sinners is without limit, yet the time for conversion is now, Pope Francis said during his Sunday Angelus address at the Vatican. “It is never too late to convert, but it is urgent, it is now! Let us begin today,” said the Pope Feb. 28 to the crowds in St. Peter’s Square. Delivering his remarks before leading those present in the Marian prayer, the Pope spoke on Jesus’ “invincible patience,” explaining how God’s “unyielding concern for sinners” should provoke impatience in ourselves. Pope Francis recounted the story from St. Therese of Lisieux, who prayed for the conversion of a criminal who had been condemned to death, and had refused interventions from the priest. It was not until his final moment that he took the Crucifix held by the priest and kissed it. Reflecting on the day’s readings, Pope Francis remarked how everyday newspapers report on violence and catastrophes. He tied this to the Gospel reading which refers to two tragic events of the time: the Romans sacking the temple, and the collapse of the Siloam tower in Jerusalem which killed eighteen people. However, in order to take the path of the Gospel, Jesus “calls us to change our heart, to radically make an about turn in our life, abandoning our compromises with evil,” the Pope said, citing hypocrisy as an example. “I think we all have in us a little bit of hypocrisy,” he said in an off-the-cuff remark. Despite being like the fig tree which fails to produce fruit, Jesus “with limitless patience” delays killing the tree for another year, Pope Francis observed. The Jubilee of Mercy is an Extraordinary Holy Year which officially commenced December 8 – the Solemnity of the Immaculate Conception – with the opening of the Holy Door in St. Peter’s Basilica. It will close Nov. 20, 2016 with the Solemnity of Christ the King. He especially acknowledged Greece and other countries “on the front line” for their work in offering “generous assistance” to those crossing their borders, and called on the international community for a “unanimous response” in helping distribute the weight of the crisis. “For this reason, we need to firmly and unreservedly focus on negotiations,” he said. The pontiff went on to welcome “with hope” the current ceasefire in Syria involving government and rebel forces, which has entered its second day. 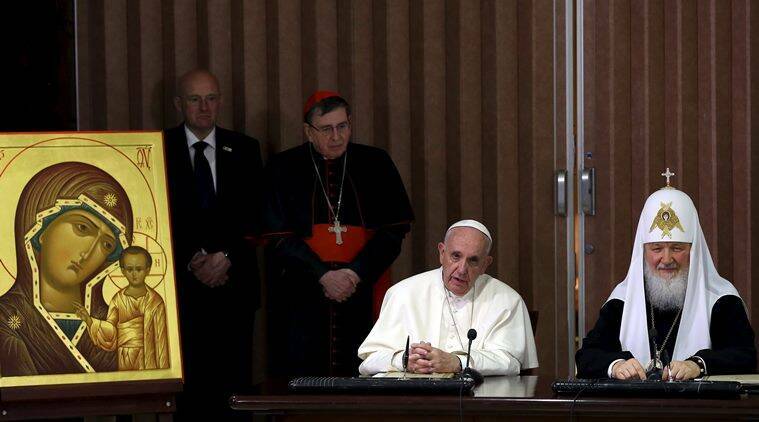 “I invite all to pray so that this window of opportunity can give relief to the suffering people, encouraging the necessary humanitarian aid, and open the way to dialogue and much desired peace,” he said. Pope Francis went on to extend his “closeness” to the people of Fiji, where tropical cyclone Winston killed more than 40 people and left tens of thousands more homeless. 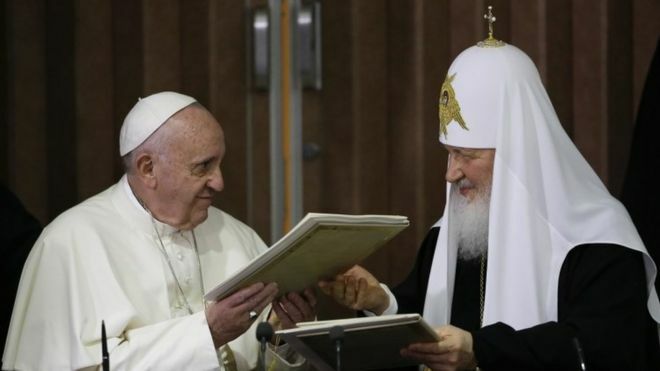 Pope Francis and Russian Orthodox Patriarch Kirill have called for restored Christian unity between the two churches at historic talks in Cuba. In a joint declaration, they also urged the world to protect Christians from persecution in the Middle East. The Pope has now arrived in Mexico for a five-day visit. A crowd of 300,000 braved the cold in Mexico City to welcome him to the country which has the world’s second largest Catholic population. The Pope was greeted at the airport by President Enrique Pena Nieto. The two-hour talks on Friday between Pope Francis and Patriarch Kirill were held at Havana airport. Patriarch Kirill goes on to Brazil and Paraguay. The pair embraced and kissed each other at the start of their talks. At a news conference after the meeting, Kirill said the discussions were “open” and “brotherly”, while Francis described them as “very sincere”. In the swirl of Vatican officials and security dressed in black, Pope Francis was a lone figure in white on the heated tarmac of Havana airport as he arrived to do his part in healing one of the longest religious disputes. Russian Patriarch Kirill had arrived shortly before. The venue was a compromise – it would be impossible to have the first such meeting in the Vatican or Moscow, and Catholic Cuba is still in the Russian sphere of influence. Back home the Patriarch has to overcome the anger of conservatives who still consider Catholicism a deviation from true Christianity. Clearly, this is a criticism he feels safe to ignore now. 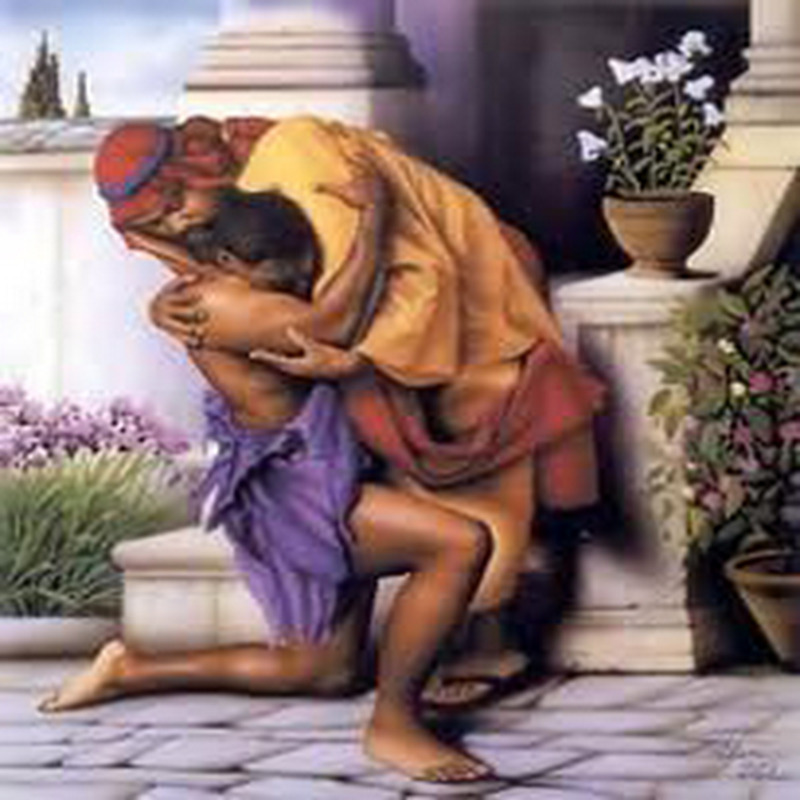 Minutes later, the Pope and the black-robed Patriarch were holding each other by the shoulders and smiling warmly. Then the leaders of Catholics and Russian Orthodox Christians sat down. It was almost business as usual. Russian state TV described the talks between the two men as the “meeting of the millennium”. In purely symbolic terms, this is an extraordinary moment, but it is perhaps even more significant in terms of Church diplomacy, the BBC’s Will Grant in Havana says. The encounter in Havana is not expected to lead to any immediate rapprochement between the Eastern and Western Churches. Ahead of the meeting, the foreign policy chief of the Russian Orthodox Church, Metropolitan Illarion, said there were still differences between the two churches, in particular on western Ukraine. One particular issue is the Ukrainian Greek Catholic Church, which follows eastern church rites but answers to the Holy See. The Russian Orthodox Church has considered western Ukraine its traditional territory, resenting papal influence there. Modern-day faith stories are Affirm Films’ bread and butter. The Sony Pictures-backed production house pleased movie-watching churchgoers with Soul Surfer and Courageousand hope to again with Sherwood Pictures’ upcoming release, War Room. Come January 2016, they’re going back in time to tell a post-crucifixion story like it’s never been seen before. Nashville-based producer Rich Peluso is hoping to start next year off right with Risen, a New Testament period film starring Joseph Fiennes (Shakespeare in Love, Luther) and Tom Felton (Harry Potter series). The Kevin Reynolds directed project tells the story of a high-ranking Roman tribune who’s tasked with tracking down Jesus’ body after rumors spread that he’s come back to life. Though a departure from Affirm Films’ typical contemporary fare, Peluso jumped at the chance to help bring this unique perspective of the Gospel story to the silver screen. 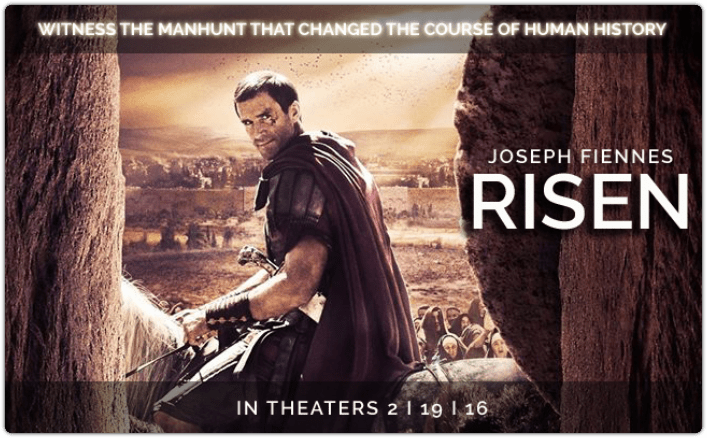 New Testatment-inspired movies usually follow Jesus’ storyline from his perspective or that of his followers, but Risen seeks to tell a different side of the story. 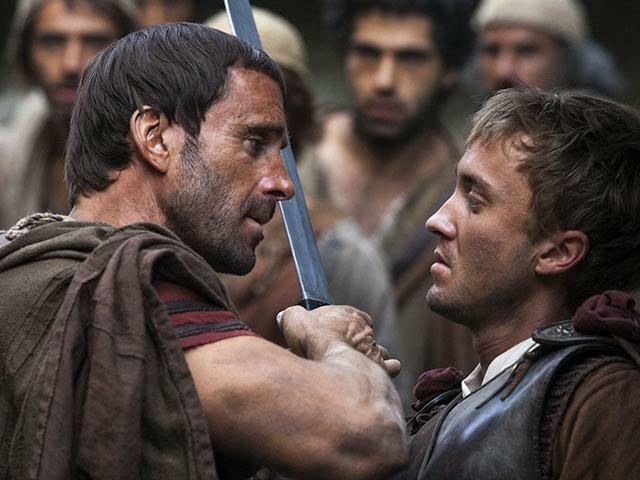 Risen takes the point of view of Clavius, a skeptical Roman commander serving under the rule of Pontius Pilate. In Risen, Clavius (played by Fiennes) begrudgingly investigates the disappearance of Jesus’ corpse, hoping to root out answers, only to uncover more questions. “It’s from his story, an unbelieving, pagan, Roman, powerful man who encounters these believers and who is thrust into really the most important event in human history,” Peluso explains. Having played German monk and reformer Martin Luther in the 2003 film, Luther, Fiennes is no novice when it comes to working on films about Christianity. According to Peluso, Fiennes’ talent for the dramatic lends well to the layered character of Clavius. “He’s just a powerful force on camera. He emotes love and power. He’s just something to behold on screen. He does an amazing job as Clavius,” Peluso says. You may be shaking your head at this point, asking yourself, “Why another Jesus movie?” Well, Peluso has an answer. He knows without a doubt that Risen offers something different, something audiences, regardless of their faith or lack thereof,want to see. Having tested the film four times, thus far, in front of large audiences, Peluso has gotten the rave reviews he wanted. From believers, there was one, unifying message Affirm Films received during the faith-based testing.